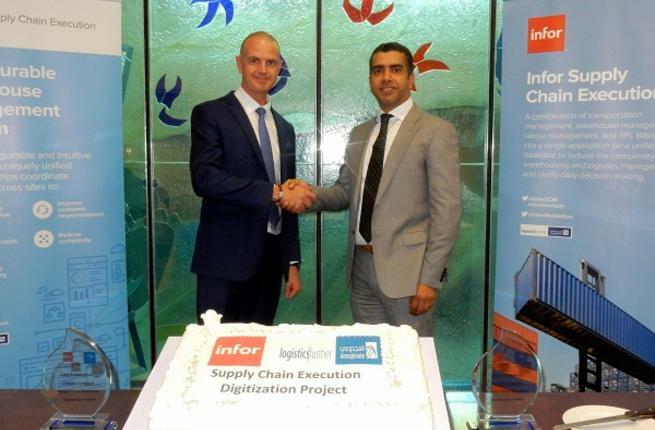 US-based Infor, a leading provider of industry-specific cloud applications, has announced that Saudi Arabia-based Almajdouie Logistics Company, a leading logistics service provider, has deployed Infor SCE to enhance business agility as it poises for further growth. The project was successfully managed by Infor’s global supply chain partner, SNS, a leading provider of supply chain consulting and software solutions in the Middle East, Africa, and Europe, said a statement from the company. A leader in the logistics and supply chain industry in the region, Almajdouie Logistics Company has more than 4,000 employees and over 2 million sq m of terminal and storage facilities across the GCC, which move an average of 1.6 million tonnes of goods annually, it said. As the need for increased operational efficiencies arose, Almajdouie Logistics Company looked to improve the flexibility and scalability of its business, and sought an integrated warehouse management system (WMS) that can support its current and future requirements. After a thorough and detailed evaluation, it decided to adopt Infor’s best-of-breed warehouse management solution, Infor SCE, it added. “With Infor SCE, we are now able to make faster and better-informed decisions, improving our customer service, increasing throughput, all while reducing the costs of running our operations,” he added. Infor’s operating service (Infor OS) platform helps provide integration between the company’s systems, giving a unified user experience, and organisation-wide access into the real-time information required to drive Almajdouie Logistics’ business, said a statement. “We are committed to helping this logistics leader carve out new markets through continued innovation, and partnering with them on their growth and digital strategy,” he added. Infor SCE provides core and advanced warehouse management capabilities that are critical to success in today’s complex and dynamic environment. The solution is available to customers as an on-premise or cloud deployment, it stated.